Home / Cooking with Oils • Diet • Health • Health & Fitness • healthy body • Healthy Recipes • Olive Oil / Is Olive Oil Spray Beneficial for Cooking? Olive oil is one of the most popular oils for cooking. I use it in cooking a lot and have shared a few of my recipes in the Cooking with Oils series. Olive oil is a heart healthy oil that’s a staple part of the Mediterranean diet. It contains a vital fatty acid, oleic acid, which keeps the heart healthy and helps the body to fight free radical damage. However, can you get the same benefits in an olive oil spray? And if so, has anything in the properties being altered in some way that makes it less useful? What is a Cooking Spray? A cooking spray is an oil that’s in spray form. A cooking spray has been thinned out considerably, kept suspended with an appropriate emulsifying agent like lecithin with some kind of propellant added to get the spray out of the can. The purpose of cooking sprays is to prevent food from sticking to pans. They are also supposed to contain lower calories than oils as they are applied in a thinner layer in pans and pots. 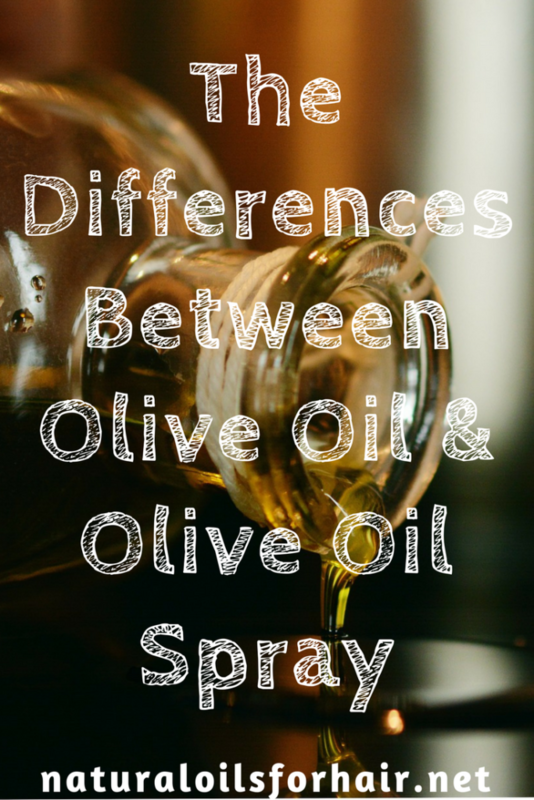 What Are the Differences Between Olive Oil & Olive Oil Cooking Spray? Olive oil is cold pressed from olives while the cooking spray is a thinned out form of the oil as explained above. Though there are claims that olive oil spray contains zero calories, this is not accurate. A tablespoon of olive oil comes to 120 calories approx. while an equal amount of cooking spray comes to 30 calories approx. Either way, both are not a huge amount of calories either way. 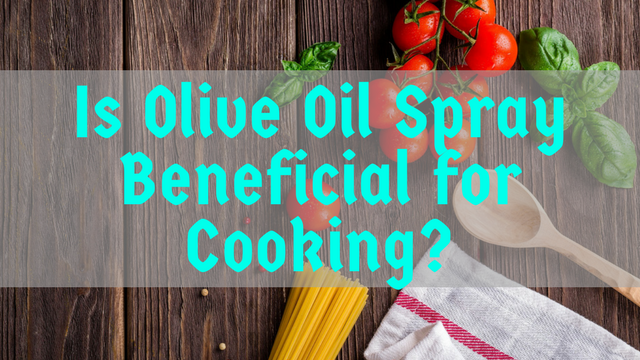 Cold pressed olive oil is natural while cooking spray has add some kind of additives added to it, which are not natural including the propellant to get it out of the can. One of the arguments for the cooking spray is that olive oil is degraded when heated to high temperatures. However, this can easily be countered by using olive oil only for sautéing, low heat cooking and in salad dressings. I do not see any great benefit that would make me give up olive oil in favor of the olive oil cooking spray. If I were to choose between the two, I would stay with organic extra virgin olive oil. Even if it has a higher number of calories, it should be fine if consumed in moderation as with all things. If you still would rather use a cooking spray than natural oils, then you should consider using an oil sprayer like Misto Brushed Aluminum Olive Oil Sprayer. You fill it with your favorite oil and control the amount of mist that goes into the pan. Still a spray but all natural. It’s reusable and can be emptied and cleaned if it gets clogged up with oil. I’d say that’s the best of both worlds. 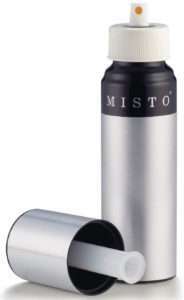 Check out more information about the Misto Brushed Aluminum Olive Oil Sprayer HERE. The Instant Pot is a fast, easy and healthy way to try out a lot of recipes and save a lot of time. The multi-functional cooker contains a pressure cooker, slow cooker, rice cooker, saute/browning, yogurt maker, steamer and warmer. 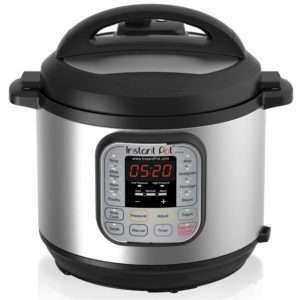 The Instant Pot comes in 3 quarts (cooking for 2 – 3 people), 6 quarts (cooking for 4- 6 people) and 8 quarts (cooking for over 6 people).